Regularly creating content that is fresh and appealing is a difficult task. Instead of crafting content from scratch, you can repurpose your existing content to reach more people in less time. It involves finding new ways to recycle and reuse your existing content. For example, repurposing lets you take an eBook and convert it into a series of blog posts. In this article, you will know how to repurpose your existing content to not only grow your reach but also improve your SEO. Repurposing content may seem counterintuitive initially but remember that it’s not the same as republishing. You can’t just copy content from one medium and paste into another. Instead, repurposing requires you to format content in a way that appeals to the audience of the platform it’s posted on. It’s one of the well-known growth hacking tactic businesses use to drive traffic without devoting as much time or effort as goes on creating content from scratch. Instead of spending excessive time brainstorming new content ideas, you can take something that exists and turn into ‘new’ content relatively quick. Repurposing lets you take content meant for a certain platform and audience and expose it to an entirely new audience which otherwise may have never seen it. Content that resonates with your audience will receive far more backlinks and social shares. Yet, such content is rare and doesn’t come around often. Repurposing allows you to extend the life of a popular post and squeeze out more backlinks. Repurposing opens your content to new audiences who prefer different learning styles. For example, visual learners prefer looking at an infographic (or watching a video) rather than reading an article. 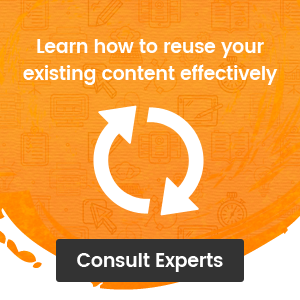 Before you set off rushing to recycle content, you need to strategize a plan of action. Not every old post is a good candidate for repurposing and the last thing you want to do is reuse content that failed to elicit any response from your audience. 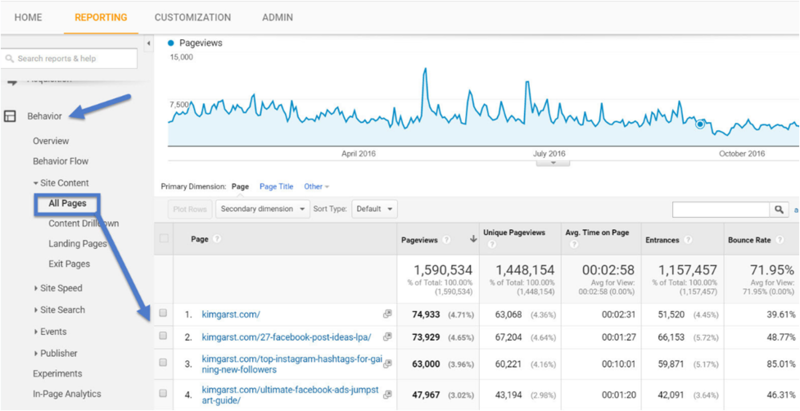 Use tools such as Google Analytics to analyze your site’s entire content archive and determine which posts performed exceptionally well. Log into Google Analytics and head over to the “Behaviour” tab. All your posts should be listed chronologically in terms of page views (most popular to least). Now that you know which of your posts performed well, it’s time to filter further in order to select the right kind of post. Some content formats are naturally easier to repurpose than others. For example, a subjective or opinion-based article will be hard to repurpose. Instead of focusing on such posts, pay attention to posts that are listicles, how-to posts or heavy in data since they can be easily repurposed into other formats. Listicles are articles that appear in the form of a list. How-to posts help your readers achieve a specific task. For example, a blog post might inform its readers how to install a server using their service. For this reason, how-to style posts receive 55% more views than all other types of blogs. And since these articles provide value they have a good chance of becoming evergreen. Some blog posts tend to reference statistics and data heavily in order to strengthen their case or point of view. Now that you have identified your popular content and narrowed down which amongst them can be easily repurposed, it’s time to get started. SlideShare may not be as popular as Facebook or Twitter, but it has a userbase of over 70 million users which cannot be ignored. Furthermore, the site also has a very strong domain authority. In fact, SlideShare presentations routinely show up on the first page of results in various search engines. The above Slideshare shows up on the first page of Google and is ahead of other authority sites such as QuickSprout and Unbounce. To create a Slideshare, take out key points from your blog post and make each into its own slide. Remember not to make your slide text-heavy. Also, use tools such as Prezi to make your presentations more dynamic and engaging. Infographics are visually stunning representations of information or data. They make it easy for your audiences to digest complex information easily. And with 65% of the population being visual learners, repurposing your blog content into an infographic increases your reach significantly. 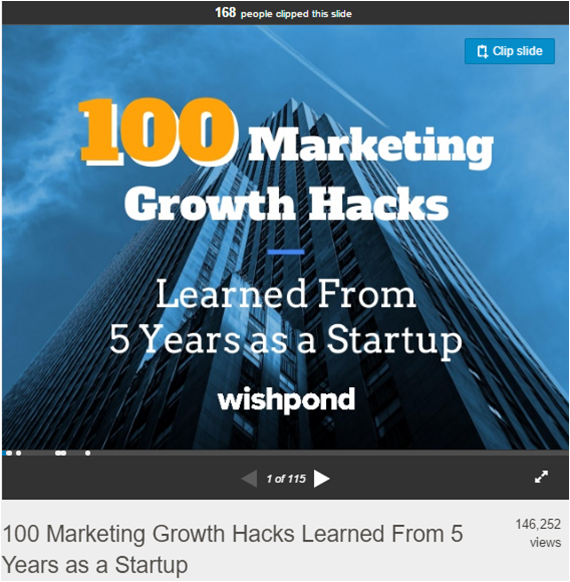 Repurposing blog content for social media is a proven growth hacking tactic. 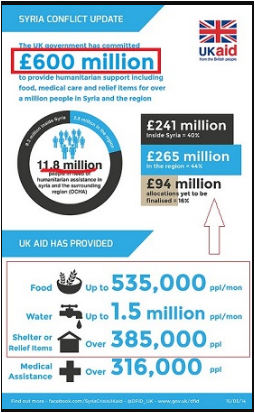 For those interested in an update about the Syria Conflict and the role of UK Aid, this infographic is far more inviting than a lengthy text-based blog. In addition to increasing reach, infographics work exceptionally well for SEO. Websites that decide to link to your infographic will belong to the same niche. For example, a conversion optimization blog will link to infographics on marketing related topics rather than cooking. This provides you more relevant backlinks than those from unrelated niches. You can easily create infographics using tools such as Venngageor Piktochart. While infographics are great, they are too large to post on social media. Therefore, to increase your reach on social channels, you need to invest in mini-graphics which are miniature-sized versions of an infographic. For perspective, think of the size of images you see on Twitter. Since mini-graphics are geared for social media, they need to be made to grab attention. Therefore, go through your blog post (or infographic if you already have one) and rank elements in terms of potential engagement level. Also, keep in mind that each social platform has its own limit for image size. For example, Facebook limits images to a maximum size of 470 pixels square. In terms of SEO, mini-graphics are not effective in generating backlinks. 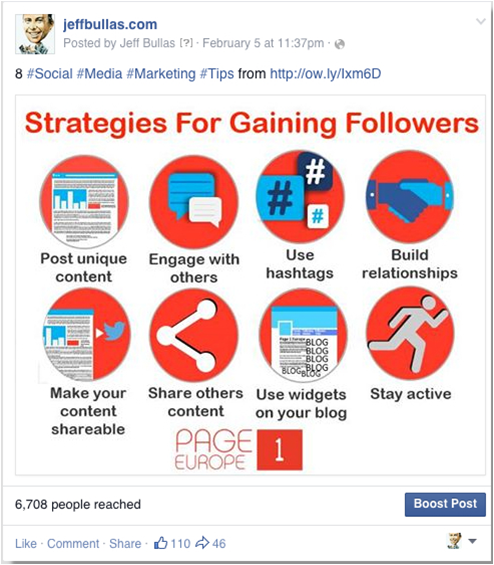 However, you still need to include them on your social channels to increase share count. Content that ranks high on SERPs tend to have a high social share count. The popularity of online video continues to grow. In just a span of four years, digital video usage has increased from 1 hour per day to almost 1 hour and 45 minutes. This growth in video consumption has led YouTube to become the second largest search engine in the world in terms of traffic handling 3 billion queries per month. And it’s not only marketers who are betting on video. Therefore, repurpose your content into video format to reach a growing audience. People are more likely to watch a video than read text on page (especially if teaches them how-to do something). 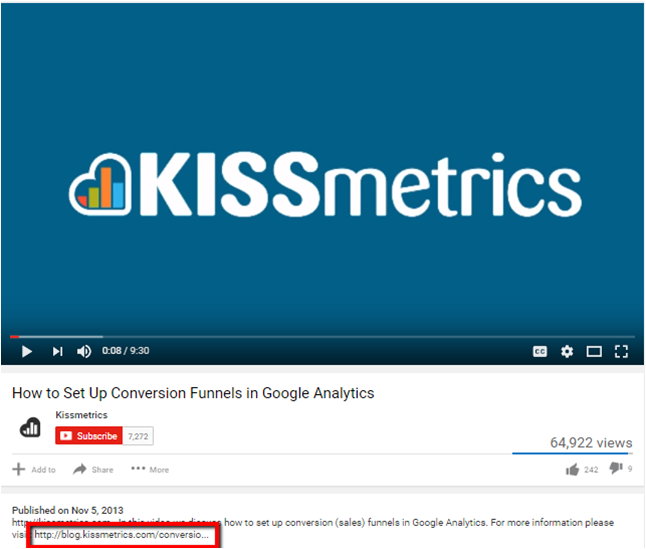 Note how the video is repurposed from a how-to post which is linked in the description section (the link URL also contains keywords). This is extremely helpful in terms of SEO. 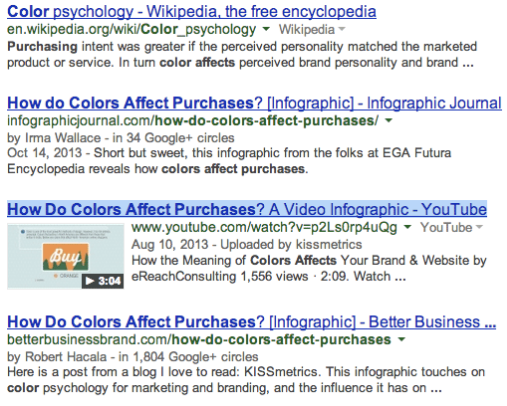 When search engine crawlers scan the page, the video has a good chance of ranking. Furthermore, uploading videos onto YouTube also helps drive traffic as it serves as a video discovery platform. 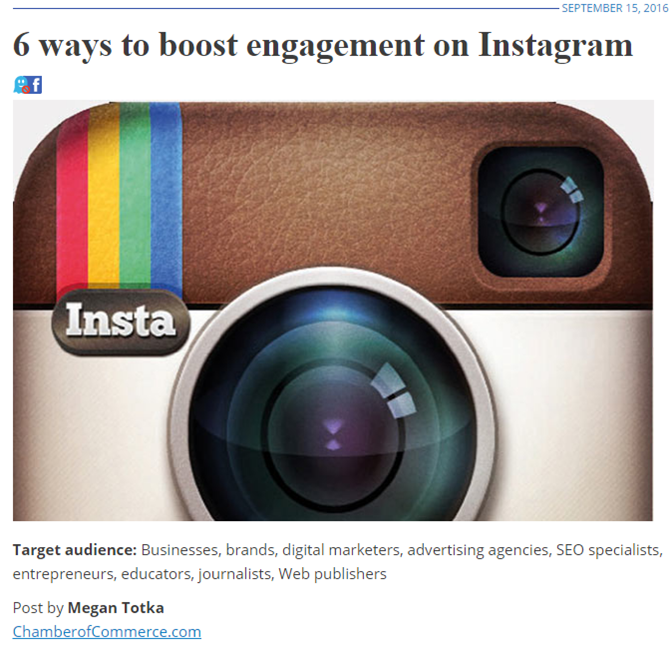 Repurposing your popular content allows you to kill two birds with one stone. Not only will you extend your reach to new audiences who enjoy different content formats but in the process help your SEO campaign. 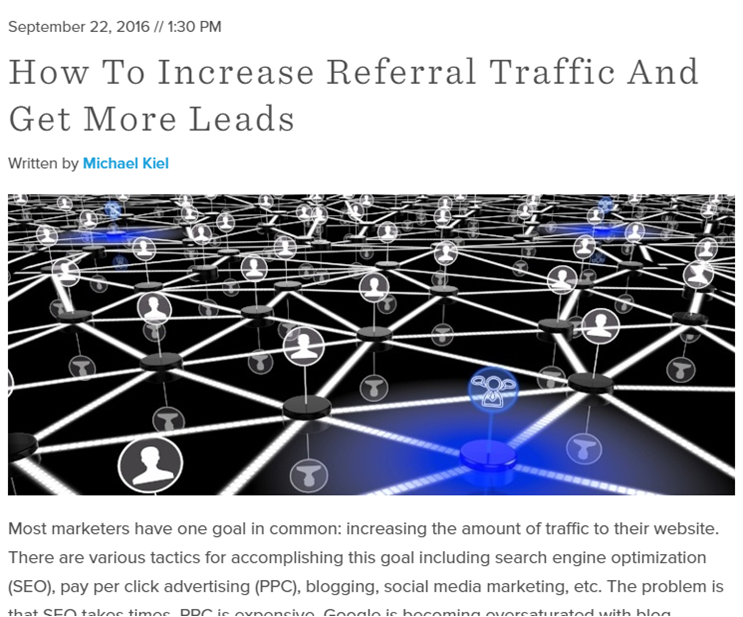 Follow the tactics in this post to get started right away. 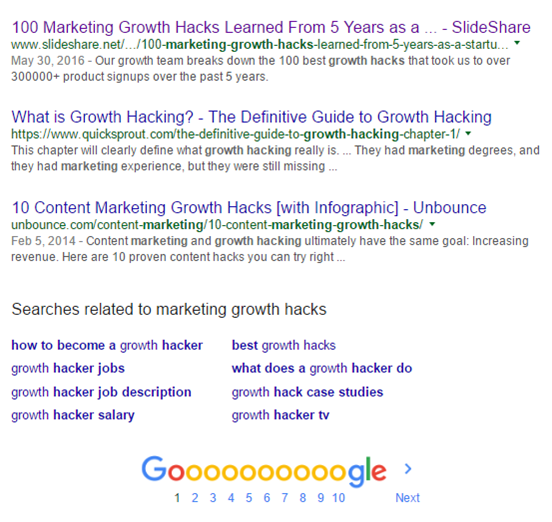 Posted in SEO & PPC, Guest Post by Emily Grunwald. Emily is a freelance content marketer and SEO specialist. Before striking out on her own, he helped Fortune 500 companies plan and implement content strategies. I heard about content repurpose, but reading your article I understood what it actually is. Thank you so much for sharing this unique information. Thank You for this awesome and great idea. I will most definitely use this idea in the future. We are glad you liked it Jesse!